BBC Radio 5 Live has secured four of the seven Premier League live commentary contracts for the next three years, whilst talkSPORT picks up the other three. talkSPORT and talkSPORT2 have rights to broadcast Premier League games across three time slots on Saturday – 12.30pm, 3pm and 5.30pm – a first for commercial radio. However, 5 Live will have first pick of the Saturday 3pm games. Wireless CEO Scott Taunton told RadioToday: “talkSPORT is now the game day destination for live Premier League action. We’ve consolidated our position as the Premier League’s only national commercial radio partner, winning more games and a key new slot on Saturday lunchtime, meaning we’re the only radio network delivering live coverage from the first kick to the final whistle on Saturday. 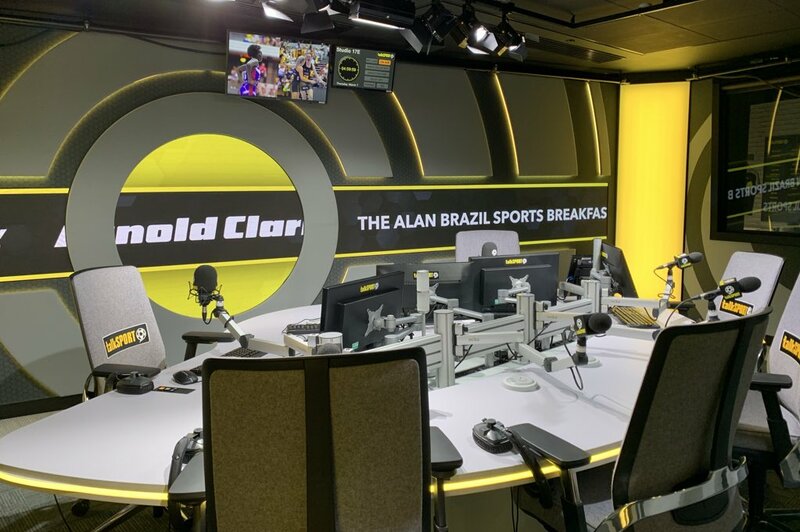 The talkSPORT network continues its exclusive global rights partnership with the Premier League until 2022 to provide official live and on-demand audio coverage of all 380 Premier League matches to listeners around the world outside of the UK and Republic of Ireland. The network is also the exclusive home of the EFL – including the play-off finals – as well as holding rights across the FA Cup and the Carabao Cup in the UK. Not sure which stone Wireless CEO Scott Taunton has been under but no way is “talkSPORT now the game day destination for live Premier League action.” They are miles behind the Beeb in this and every other department. You’re comparing apples with oranges, one is a public broadcaster funded by a licence fee, the other is a commercial station that has to pay its way with advertising. Talksport may have rich owners but they still expect the station to make a profit, and sports rights and coverage are expensive. Their budget is much lower than BBC radio’s sports department. The new deal is good for both stations and for listeners. Meanwhile the game day radio destination for live Premier League action remains very much the BBC. The BBC have lost the 12.30pm Saturday matches, and failed to regain the 5.30pm Saturday matches. Sky Sports will be showing the 5.30pm Saturday matches next season and will put some of their top head-to-head matches there, and some at 4.30pm on Sundays. That makes both stations the “game day destination” for live commentaries. For the BBC I think there is a sigh of relief that they weren’t blown out of the water with Murdoch’s money, as they have been with television rights. Still a 4/3 split but a worse outcome for listeners. If Talksport are true to form, all but the most glamorous lunchtime games will be shunted to Talksport2, like the 3pm kick offs currently are. Is the Premier League well served by being confined to digital hinterlands on both radio and TV?